Peanut destoner machine is one kind of the peanut cleaning machine/equipment. With the introduction of fish scale type sieve and elastic rubber cover, this peanut destoner machine has stable operation, low vibration, low noise and good removing effect and no environmental pollution. This peanut in shell destoner machine is used for food processing, to remove foreign materials which have a bigger gravity than the food from peanut, wheat, soybean, rice, sunflower seed and sesame. 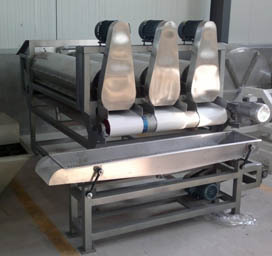 For fruit juice processing, this cleaning machine is also necessary. The multifunctional peanut cleaner machine is composed of moving device, drive device, brush roller and washing box. The multifunctional peanut cleaner is not only exclusive to clean peanuts, but potato, turnip, gastrodin, Chinese yam and carrots. 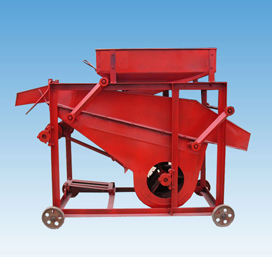 It plays an important role in peanut cleaner machine or groundnut cleaning machine. Peanut in shell cleaner is specially designed for cleaning the surface dust of peanut pod, this machine is composed of hopper, brush roll, driving part, vibrating discharge conveyor, drainage facility and inlet channel. 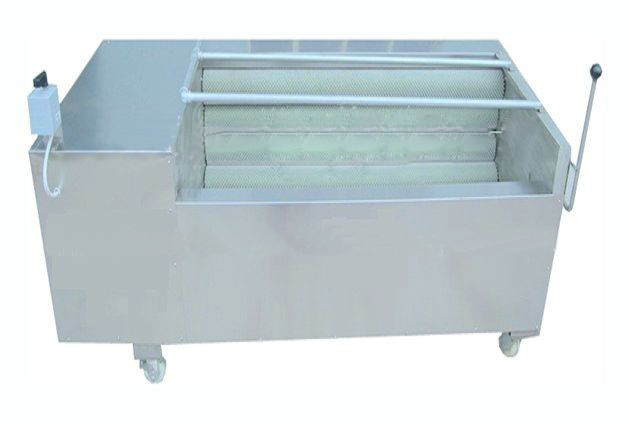 The hopper, roller and vibrating sieve are made of Stainless steel, it can prevent any rust efficiently, has the advantage of compact structure, stable operation, low noise, no pollution etc.